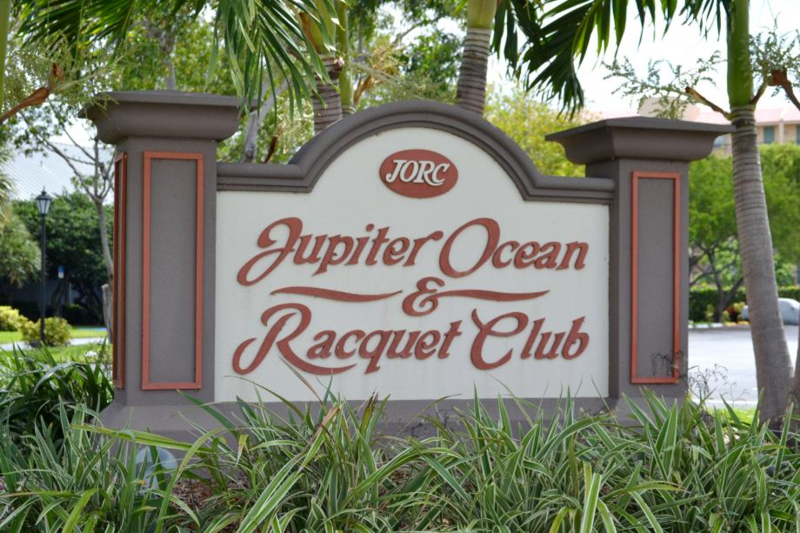 Built between 1976 and 1985, the Jupiter Ocean Racquet Club features 435 units ranging in size from 700 to 2,000 square feet and one to three bedrooms. This community is just a short stroll to Jupiter's pet friendly beach and is just across US1 from Jupiter's ''Riverwalk''. Walk along the Intracoastal Waterway that leads to Harbourside Place, which offers several boutiques, water view restaurants plus an outdoor stage and live entertainment. Jupiter Ocean Racquet Club is a pet friendly community which allows 2 pets up to 35 lbs each and owners are allowed to rent 1 time per year with a 90 day minimum lease term. The community amenities include tennis courts, community pools, community room and beautiful picnic areas. It's truly a great place to live, work and play. A hidden GEM! Want a lifestyle that feels like a Resort vacation year round? Extremely desirable area ..walk to pet friendly beach, not to mention the delightful ocean breezes and salt air! A 90ft. freeform pool with lighted waterfall, sharing with only 2 other families that are snowbirds and scarce in summer months. Lush landscaping surrounds pool... and the main living areas & kitchen of the home have natural wood/look porcelain tile. Charming 2 BR/ 2 BA/ 2 Car garage Beach Villa located just steps away from the beautiful ocean. Meticulously maintained this cottage has vaulted ceilings, updated open kitchen with large island and stainless appliances. Impact windows and doors, tank less hot water heater, new roof and ac. Close to great restaurants, shopping, and the Beach. 1 bed 1 bath walk to the beach and beautiful Riverwalk. Private courtyard with storage. New roof and paint. New AC inside and out with 1 year maintenance plan included. New appliances, sink and granite. Bath has new vanity, sinks, and toilet. Move in ready.